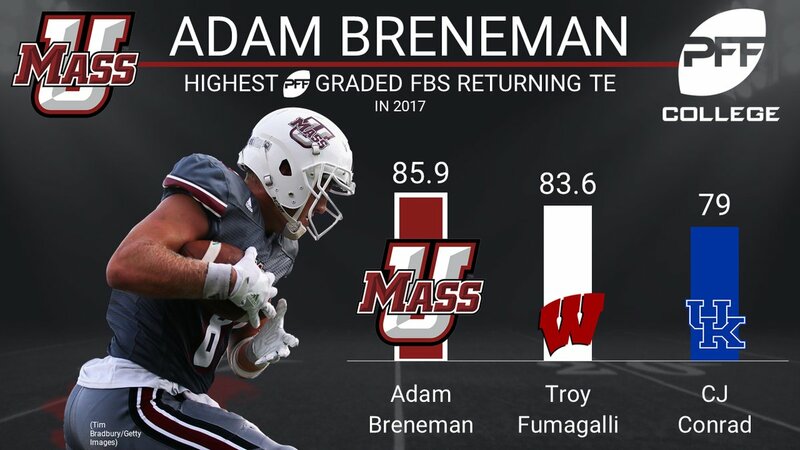 Mark Chiarelli of MassLive relates UMass TE Adam Breneman thinks there are some winnable games in 2017. Mark also reports Andrew Ford and Ross Comis will split time as QB in early camp and Shane Huber was not dressed for the first practice. Matty Vautour also has a post on UMass opening training camp. He relates UMass has put in a waiver request to have Syracuse transfer RB Jordan Fredricks eligible to play this year. Whipple did not sound too hopeful the NCAA would grant the request. Hawaii football tries to connect with millennials. Coastal Carolina officially opens training camp. Coastal Carolina players dedicate the 2017 season to coach Joe Moglia. The Chants dismiss a promising RB after he is arrested. Tennessee opens Fall camp with a QB battle. 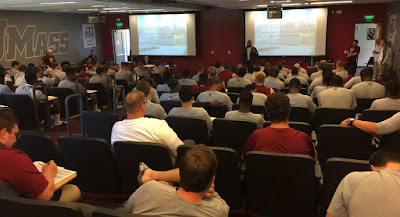 Boston College also opens Fall Camp. UMass football meeting this morning. First Fall 2017 practice this afternoon. 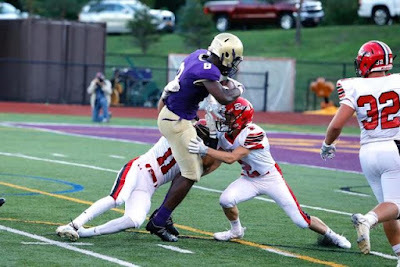 Back on April 15th, I blogged about Javontae Jean-Baptiste, a 6-5 200 pound OLB from Bergen Catholic HS in New Jersey. More on Jean-Baptiste in this article. Jean-Baptiste now holds eleven offers including Boston College and Rutgers from the Northeast. Coastal Carolina loses their head coach for the 2017 season. The Chants say they're ready for their first season in the Sun Belt. CBS Detroit previews the Mountain West Conference including UMass opening opponent Hawaii. Speaking of Hawaii, they started Fall camp with a spirited 2 1/2 hour practice. The Rainbow Warriors defense is all about improvement in 2017. UMass verbal Shatar McClay gets a mention in this article. Wisconsin's Troy Fumagalli wants to be the best TE in the country. Mentions UMass TE Adam Breneman. OT, but another graduate of the UMass Sports Management school makes good. Simply the best sports management program on the planet. UMass releases the times for the Home games. Mike Traini of "Fight Massachusetts" has a post on the times. FB Schedules.com also has a story. A Statesboro TV station has a post from the Georgia Southern side. The UMass Fall calendar shows the first day of classes is 09/05/17 and the first day for freshmen move-in for 09/01. Returning students don't come in until 09/03/17. So the 6:00 pm start for the Hawaii game is not impacted by student attendance. The 6:00 pm would be a good time for alumni and walk-ins. While having the first game of the 2017 season would have been cool, it was not that cool. A decent attendance would be better than a mostly empty stadium. The 3:30 games are certainly TV games. The athletic Dept is still working on TV coverage for the home games. I would guess A.D. Bamford is trying for maximum exposure rather than financial income. Any money paid for the games is likely to be minimal anyway. See Conference USA's woes. Perhaps NESN or one of it's offshoots will televise most of the games. NESN does have a national network. Speaking of the Hawaii game, UMass opened as a three-point underdog. That's now moved to one point. SEC Country ranks SEC home schedules including UMass opponents Mississippi State and Tennessee. How the evolution of TE's has changed college football. "Bell, whose father is a former Nebraska football player, finished his junior season in 2016 with 10 tackles for loss and 8 1/2 sacks. He also forced four fumbles and recovered two fumbles. Bell opened some eyes in March at The Opening Dallas, where he tested very well for a 110.76 Nike+ Football Rating. 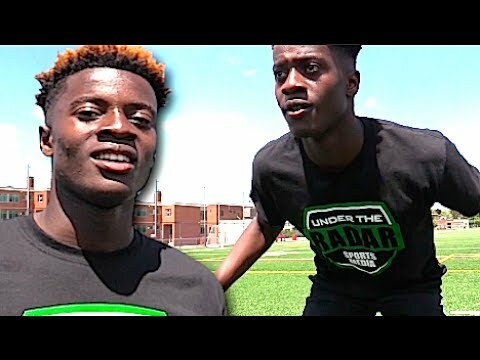 He ran a 4.82 laser-timed 40 with a 4.36 shuttle and a vertical of 36 inches." 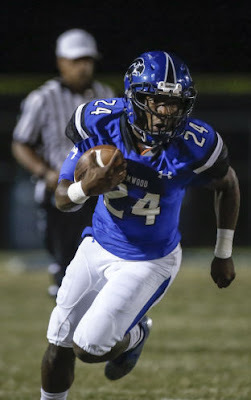 Bell has 26 total offers including 11 from FBS schools. UMass offered on June 22nd. Army is the only other FBS school from the Northeast. 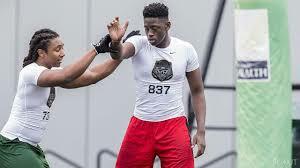 Back on January 17th, I blogged about UMass offering to Lancine Turay, a 6-6 240 pound DE from Irvington, NJ. This article from yesterday by NL.com updates his recruiting. Turay states he will be sorting out his final list within a week or so. He is now up to 12 offers including UConn and Syracuse from the Northeast. A couple of days ago I blogged about Shatar McClay verbaling to UMass. Mike Traini of "Fight Massachusetts" has a post on McClay signing with the Minutemen. The best deal is one that benefits both parties. UMass could certainly use a player of McClay's caliber. Joining UMass could benefit McClay too. Tennessee is a great program with a huge fan base. However, It's easy to get lost in a recruiting class that includes eight four and five star recruits. UMass offers playing time and a chance to be a big frog in a smaller pond. McClay has a full year to get his grades in order. Lets hope he gets a chance to shine with the Minutemen. 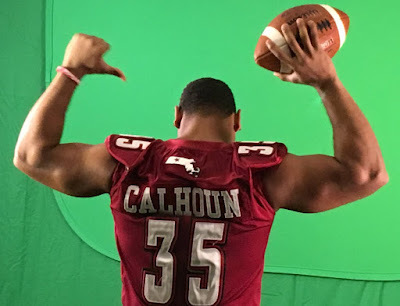 Colbert Calhoun, 5-11 219 UMass LB shows off the results of his summer workouts. Calhoun started eight games for the Minutemen last year. He played well and was fourth on the team in tackles (28 UT 30 AT 58 TT). I think the UMass defense will shine this year. For the first four years of FBS the defense was on the short side of recruiting numbers by a factor of about 2 to 3 vs the offense. This year the defense has enough bodies so the Minutemen can rotate players. It should make a difference during the non-Power Five section of the schedule. The Maine Black Bears were picked 9th in the CAA preseason poll. 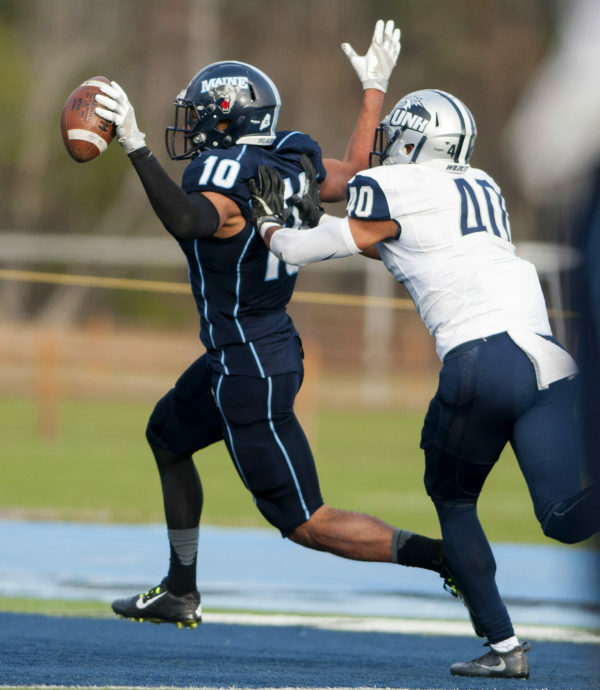 Micah Wright is Maine's top offensive weapon. 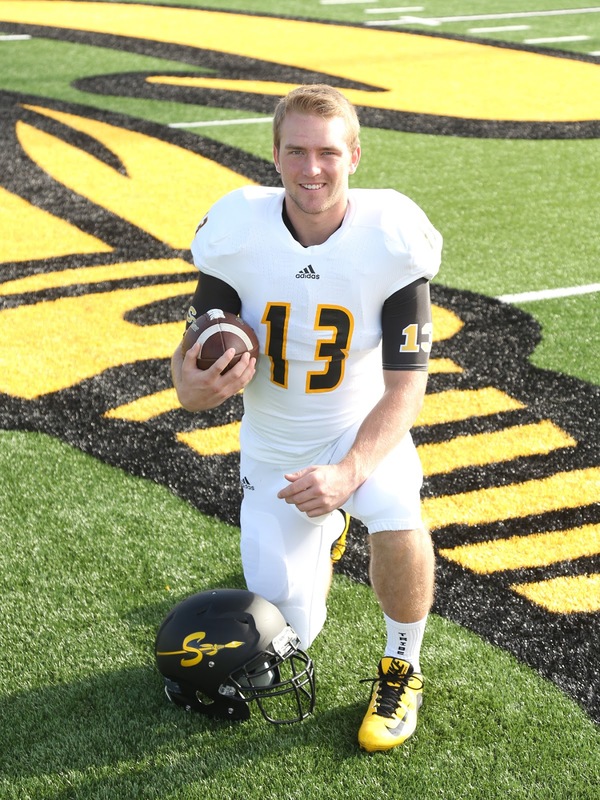 He was named FCS Freshman-of-the-year by one football service and an honorable mention FCS All-American by another. BYU hopes its 2017 defense will be among its best. The Cougars also have experience in crucial positions. Georgia Southern starts Fall practice early to polish their triple-option offense. Back in their glory years in FCS, the Eagles once ran the triple option for 400 yards against Florida in the Swamp. 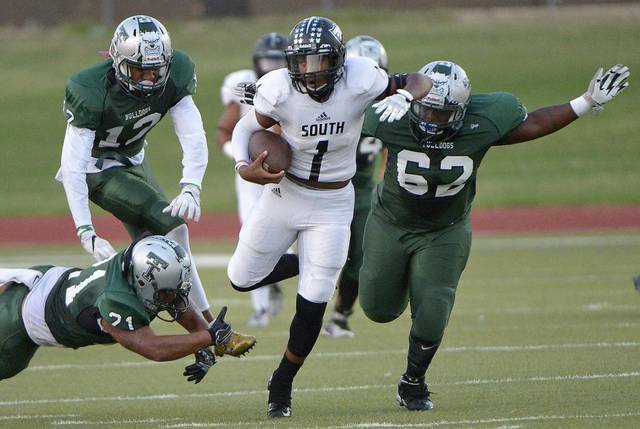 Several recruiting services report UMass has offered to Trey Jones, a 5-10 195 pound athlete from Forth Worth, TX. Mike Traini of "Fight Massachusetts" reports Jones will visit UMass tomorrow. QB Seth Shuman leaves the Georgia Southern football team. Auburn prepares for Georgia Southern's triple option offense. Former UMass player and coach Neal Brown is one of the coaches being mentioned as a replacement for Huge Freeze at Ole Miss. This article also mentions Brown as a potential coach at Mississippi. When UMass meets Tennessee in Knoxville on September 23rd, the Minutemen will probably get a good look at 5-11 183 pound Vols RB Carlin Fils-Aime. Old Dominion gets picked third in Conference USA. Temple gets picked third in the AAC (and UConn is last). The Owls go into Fall camp looking for a QB. UPDATE: Mike Traini of "Fight Massachusetts" confirms McClay's verbal to UMass. Shatar McClay, a 6-0 165 pound DB/WR from Clarksburg, TN has Tweeted he's verbaled to UMass. The Clarksville Leaf-Chronicle has a story on McClay's signing with UMass. "McClay was named to The Leaf-Chronicle/Legends Bank All Area Football Team after totaling 13 touchdowns. He had 36 receptions for 746 yards with a 19.6-yard average. 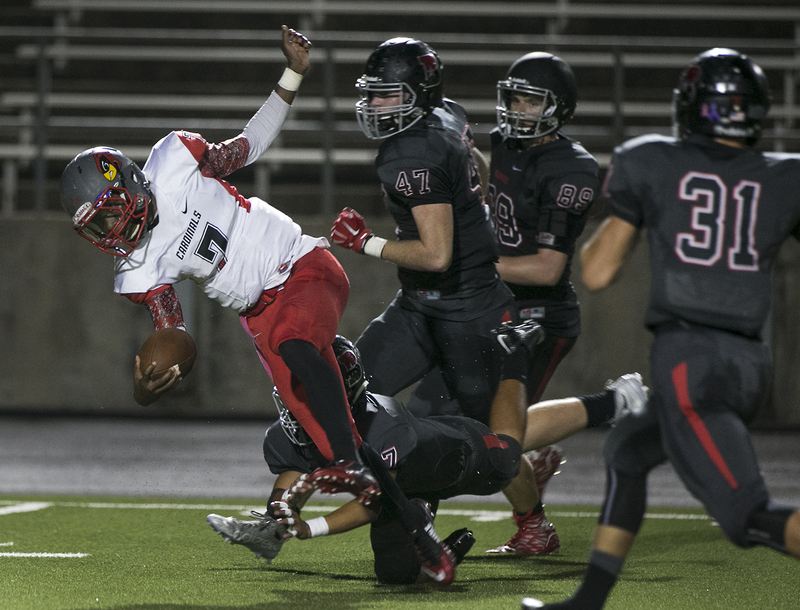 He also finished with 21 tackles, two interceptions and a forced fumble as well as two punt return touchdowns." McClay held offers from Tennessee, Purdue, Indiana and Western Kentucky. Nice boost to UMass' 2018 recruiting class. Rotoworld picks UMass #127 of 130 teams for 2017. 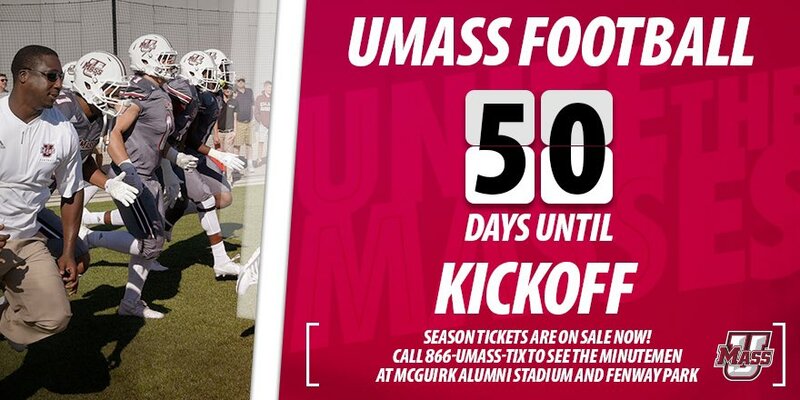 Howard Herman of the Berkshire Eagle says UMass football is a month away. Hawaii Football loses another defensive lineman. The Winston-Salem Journal previews the Sun Belt conference including UMass opponents Coastal Carolina and Appalachian State and says the latter should be a big favorite over UMass. The Mountaineers are picked to win the Sun Belt championship. The Chants are picked last. The Orlando Sentinel ranks Mississippi State #40. One preseason prediction service has Tennessee as #25. 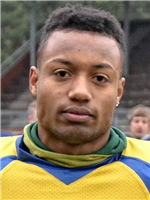 Several recruiting services indicate UMass has offered to Vilinhton Tengroth, a 5-10 190 Athlete/RB from Sweden. Mike Traini of "Fight Massachusetts" has a story on UMass' offer to Tengroth. Tengroth has attended multiple American football camps. So far, the Minutemen are Tengroth's only offer. Twelve Appalachian State players make the first and second team preseason All-Sun Belt team. The Mountaineers make their first ever visit to Amherst on October 28th. Appalachian State also has Jalin Moore, the Sun Belt preseason player-of-the-year. The Mountaineers are loaded this year and I'll pick them to be favored over their entire schedule except for the opener at Georgia. CBS Local previews the Sun Belt including UMass opponents Appalachian State and Georgia Southern. Coastal Carolina's HC has surgery, but he won't miss the Chants opener against UMass. Speaking of Coastal Carolina, Underdog Dynasty previews the Chants. Athlon Sports ranks Mississippi State's 2017 schedule and places UMass behind FCS Charleston Southern. Sports Illustrated ranks the college football conferences for 2017. I watched a replay of 2016 meeting of Michigan and Iowa last evening. Iowa upset the previously undefeated Wolverines 14-13. Michigan had a freshman WR named Eddie McDoom. Broderick Calhoune, a 5-9 155 pound CB/WR from Mesquite, TX has Tweeted he's received an offer from UMass. 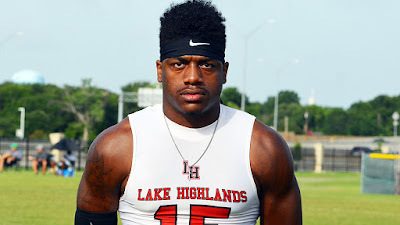 "The Mesquite (Texas) Horn defender is currently committed to Louisiana Tech, but the Bulldogs will fight to hold onto him. He is one of the fastest players in and out of his breaks and shows lightning quick closing speed. 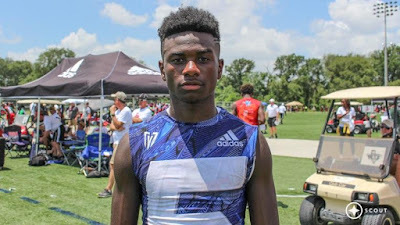 His high school program is known for producing top-level defensive back prospects and the 5-foot-10, 160-pound Calhoun can play at the P5 level." Also ran track & field. Calhoune has eight offers with UMass as the only school from the Northeast. Matty Vautour has a post on Marquis Young being named the the Doak Walker Award watch list. Keving Dillon of MassLive also has a story about Young. In 2016 Young went 12-12 GP-GS 197-898 4 TD's 83 LONG 4.6 AVE/A 74.4 AVE/G. He also went 26-147 REC. Young's AVE/A dropped from 6.7 in 2015 to 4.6 AVE/A in 2016. Part of that was likely UMass playing five Power Five teams. This is a thin position for UMass. 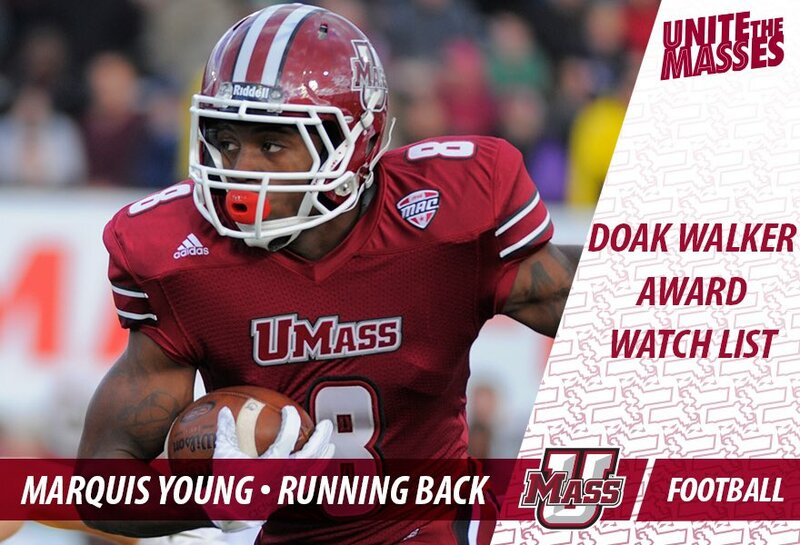 Young should break a 1,000 yards against a schedule with less SEC teams. Boston College was #1 in the ACC and #7 nationally against the rush. Bilal Ally performed well with limited carries in 2016. Ally had 4,500 + yards rushing and scored 50 TD's in HS. He should get more carries in 2017. Tyshaun Ingram averaged 6.2 yards/carry in HS. Odiah and Orekoya are probably walk-ons. Saturday Down South says Marquis Young will rush for 100 yards against Tennessee. Back in May, I blogged about Stevie Scott, a 6-0 240 RB from Syracuse, NY. NJ.com reports that his recruiting might be opening up after Syracuse appears to be out of the picture. Scott has eleven offers including BC, UConn, Rutgers and Pitt from the Northeast. Syracuse already has two RB commits. BC and Rutgers have one. 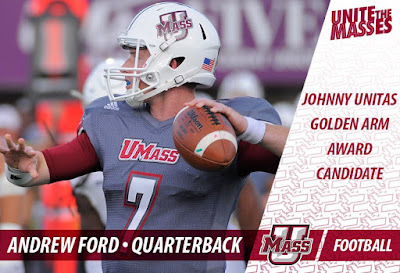 Matty Vautour has a post on Andrew Ford being named to the Johnny Unitas Golden Arm Award candidate watch list. Kevin Dillon of MassLive also has a story on Ford. Ford was #48 nationally in passing efficiency. He was in the top-25 in passing TD's and #54 in passing yards. Ford was #44 in passing yards per game. Since Ford only started 9 games 75% of the season, we could expect him to have some pretty impressive numbers in 2017. Playing fewer Power Five teams in 2017 should also help. Ford would seem to be the locked-in starter for 2017 and 2018. Comis' numbers were impacted because he started against #25 Florida and Boston College who had the #9 ranked defense in 2016. ACL injuries usually requires a year to heal, so he might not be 100% until later in the season. Michael Curtis appears to have three years of eligibility. In a 2-10 season, Randall West did not have much chance to play. Joe Biddle of WKRN.com says Tennessee is a "slam dunk" winner over UMass. Speaking of the Vols, their current running back roster has a total of one career starts. Andy Isabella makes the preseason Bletnikoff Award Watch list. Matty Vautour has a post on Isabella and Brenenman making preseason award lists. Sadiq Palmer is the only other returning player with some stats. He looks to be in a battle with Brennon Dingle for the "Y" receiver. Whipple could move Isabella to the slot and have Palmer and Dingle to the outside positions. Dingle had an outstanding Spring game. UMass also brought in a pretty strong 2017 recruiting class. JUCO transfer Jacoby Herring is 6-5 and looks to get a lot of playing time right away. Patrick Volcy was in for Spring ball and would seem to have an advantage over the other true freshmen. 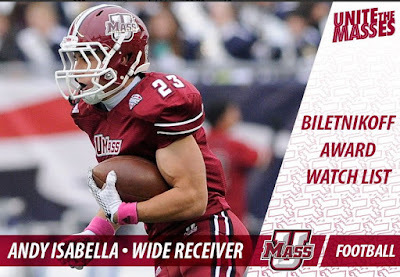 UMass is one of only two schools with two receivers on the Bletnikoff Award List. Charlie Strong looks to have an excellent season at USF. Hartford Courant reporter Jeff Jacobs says "straight shooting" Randy Edsell is back at UConn. UConn was picked last at the AAC preseason power poll. The AAC pushes to be considered the 6th Power Conference. 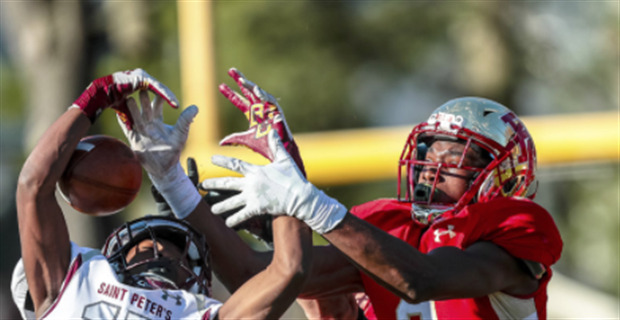 Several recruiting services have report UMass has offered to Jerome Ford, a 5-11 190 pound RB from Seffner, FL. 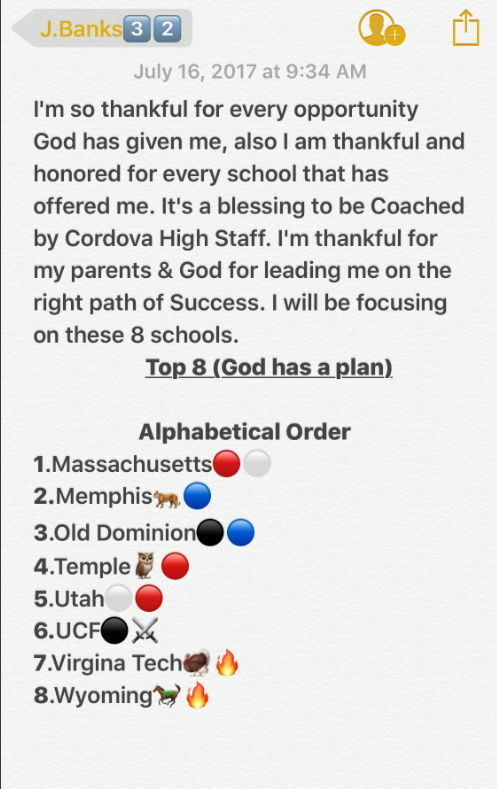 "Ford, who claims no leaders in his recruitment, says three schools are labeling him as a top priority at this time. "South Florida, Oregon State, Cincinnati," Ford replied when asked which schools are recruiting him the hardest." Ford holds seventeen offers including multiple Power Five schools. 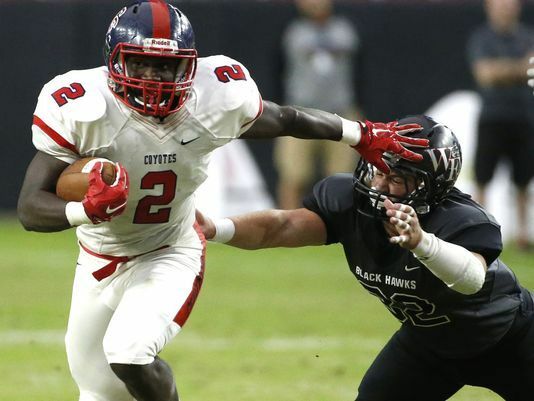 Alabama, North Carolina, Oregon State and Missouri are some of the schools offering. UMass is the only school from the Northeast. Back in April I blogged about Jeremy Banks, a 6-2 210 pound RB from Cordova, TX. He recently Tweeted UMass is in his top-8. I was listening to the Red Sox radio broadcast while drive my truck back from Greenfield, Ma yesterday. Coach Whipple threw out the first pitch at Fenway. A couple of images are available on the UMass Twitter feed. During the radio interview Whipple said there was a good chance UMass would be playing Auburn in the future. That should be a lucrative cash game for the Athletic Dept. 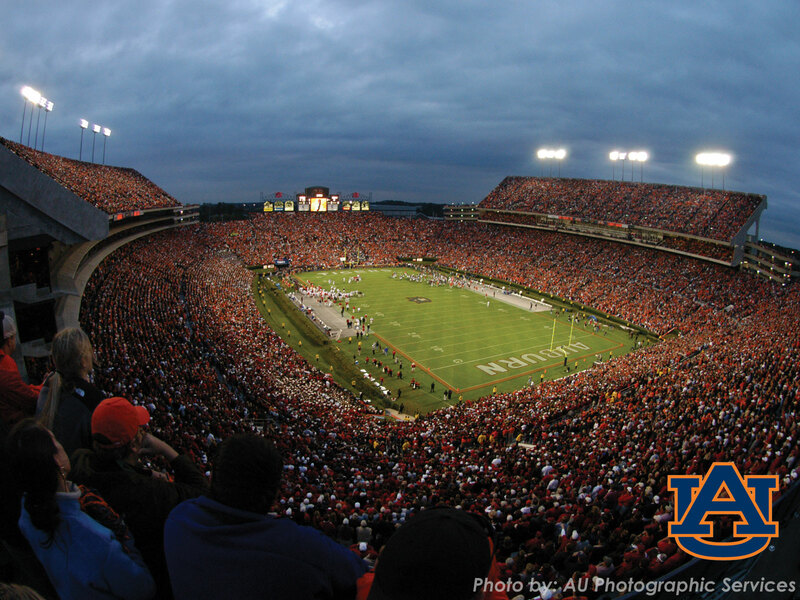 Some details of Auburn's guarantees for OOC games here. Georgia Southern is receiving $1.3 million and Louisiana-Monroe is getting $1.4 million for games this year. He also said UMass has had two good recruiting years in a row and he felt the Minutemen were much better situated to play an independent schedule. An Arkansas website previews Coastal Carolina. A Macon, GA newspaper ranks UMass two spots below New Hampshire in a review of Georgia Southern's 2017 opponents. Hero Sports previews Appalachian State. During Whip's interview yesterday one of the announcers stated Appalachian State is looking to leave the Sun Belt and move to the AAC. OT, BUT THIS MAY GIVE UMASS FANS A WARM GLOW TO START THE WEEK. 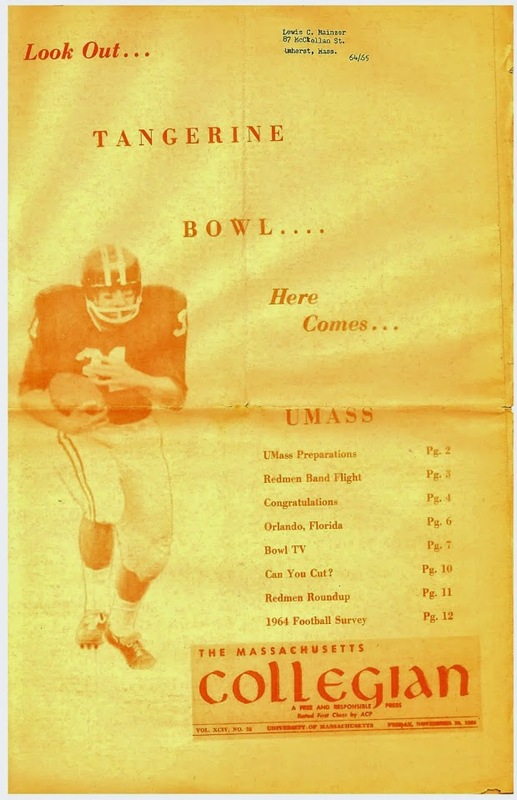 As you know, Boston Globe writer Dan Shaughnessy has a long history of ripping UMass football and basketball. "John, Tom, and Larry need to bring the Kung Fu Panda to Fenway Park. I promise never to rip Sandoval for being out of shape or going on the disabled list." Although it has not been announced, most UMass fans expect the Minutemen to change to a 4-3 base defense. As football junkies know, defensive linemen are the scarcest recruits. The college football magazines predict UMass will start Joe Previte and Ali Ali-Musa as the two DT's with Da'Sean Downey and Sha-Ki Holines as the two DE's. Downey led the Minutemen with 6 sacks in 2016 and he could prosper in a 4-3 as there would be less unassigned offensive linemen facing the defense. Joe Previte was having a good season before suffering a elbow injury against South Carolina. UMass does get four new defensive linemen for 2017. Domenico Cipriani, Sharif Saleem and Charly Timite come off redshirt seasons. 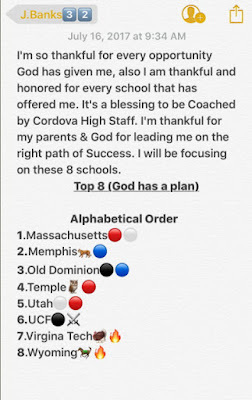 JUCO transfer DaVone Hall weighs 305 and could provide immediate help inside. Charlie Timite was a 247Sports three-star recruit. Sharif Saleem was two stars. Cipriani was unrated by recruiting services. The Minutemen brought in five defensive linemen for 2017 and Alex Piechocki and DaVone Hall were in for the Spring semester. Two-star 2017 recruits Hunter Brown, Jake Byczko and Caeleb Washington are probably looking at a redshirt year. Several recruiting services indicate UMass has offered to Zindane Thomas, a 5-10 205 pound RB from Peoria, AZ. Hopes to have a 3,000 yard senior season. Besides UMass, Boise State and Iowa State have offered from FBS. I've Blogged about Texas Safety Gatlin Grisso before. He verbaled to Washington State. 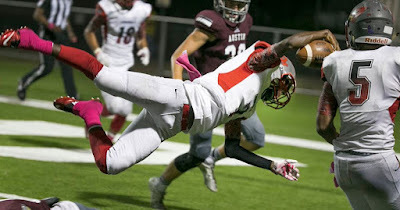 The Cougars sign a "super athlete". Matty Vautour says Steve Casali's goals reach far beyond post-season awards. 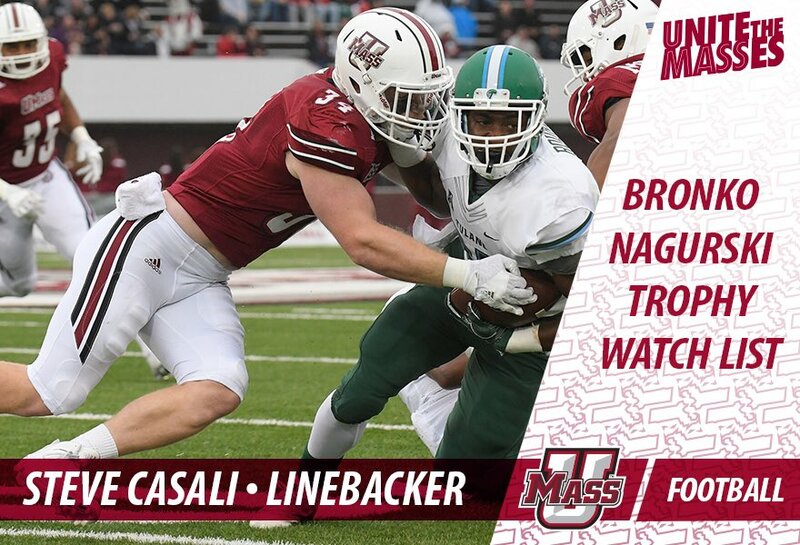 The UMass website has a post on Casali being named to the Bronco Nagurski Watch List. MassLive also mentions Casali being named to the list. Notre Dame punter Tyler Newsome is named to a Good Works Team. Newsome holds the Irish single game average distance record 52.4 yards/punt----set against UMass. The Austin-American Statesman picks the USF Bulls a top-20 team. The Bulls have three players named to the Bronco Nagurski Watch List. That's a lot of players, but the Bulls were really known for their offense last year. USF was #4 in the nation in offense and #1 in the AAC with 43.8 points per game average. The Bulls scored more than 40 points eight times in 2016. UMass announces some changes to the Gameday Experience at McGuirk. For season Ticket holders, there will be a cash bar at Commonwealth Club and a chance to meet some of the coaches. The Minutemen March with the band, spirit groups and the players prior to the game. Mike Chiarelli of Mass Live has a post on Adam Breneman and Logan Laurent being named to the Mackey and Ray Guy Watch list teams. Matty Vautour also has a story on Breneman and Laurent. In 2016 Mike Caggiano went 0-2 in field goals. Laurent went 7-9 77.8% 3-3 20-29 3-5 30-39 1-1 40-49 LONG 44. UMass' .58 field goals/game was #115 nationally. 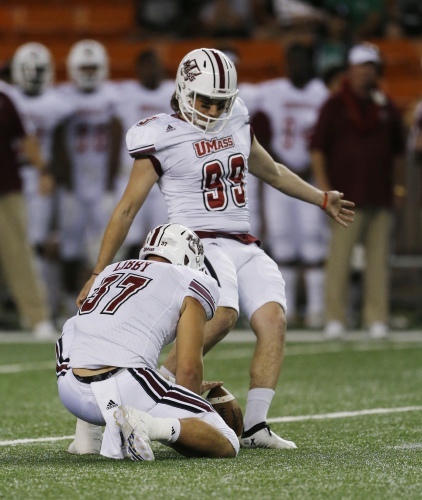 UMass was #79 in the nation in net punting average 36.71/attempt. The Florida State site "Tomahawk Nation" previews their game against Boston College. They'e not impressed. CRIME IN NEW HAMPSHIRE: UNCLEAR ON THE CONCEPT. Concord woman arrested twice in five hours after returning to the police station to demand the cops return her drugs. 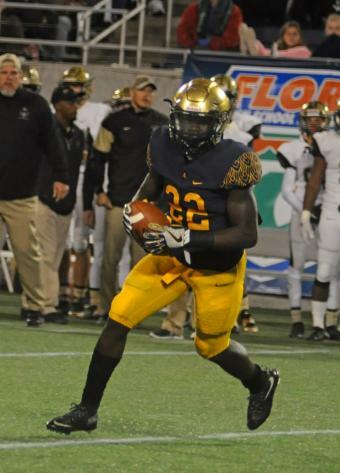 Adetutu Daranijo, a 5-10 186 pound Safety from St. Thomas Aquinas HS in FL has Tweeted he's received an offer from UMass. "The 5-foot-11, 187-pound Daranijo possesses the skill set and build to line it up at both outside linebacker and strong safety, but will likely settle down at outside linebacker before it's all said and done. He flashes good change of direction when reading and reacting to the football, and is an instinctive kid that really anticipates well. Daranijo possesses a well-rounded skill set and operates well in space, but has to continue to pack on weight and strengthen up his frame." This article by the Orlando Sun-Sentinel mentions (at the end) Daranijo. Daranijo holds 15 offers including Power-Five schools Pitt, Purdue and Missouri. 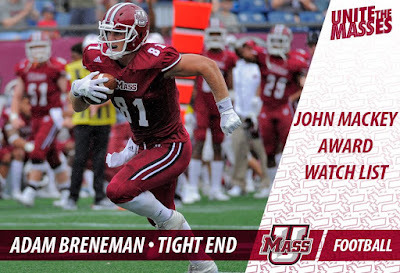 As everyone expected Adam Breneman was named to the John Mackey award watch list. There's a .pdf download from the John Mackey Award people here. The Centre Daily times mentions Breneman as well as current Penn State TE Mike Gisicki. Former UMass player and current Kennesaw State Associate AD Vaughn Williams is moving back to Boston College. Earlier in the year, Williams was named the Under Armour 2017 Director of the Year. Williams was a four-year letter winner for the Minutemen (1988, '89,'90 and 1991). Speaking of the Eagles, SB Nation thinks Boston College needs an offense. After Don Brown left, the BC defense was still stout under Jimmie Reid. The Eagles were #7 in the nation in rushing defense and #9 in total defense. The offense, however was #118 in scoring and #127 in total offense. UMass scored 35 points against Mississippi State at Gillette last year. Bulldog coach Dan Mullen says Mississippi State's defense will be different this year. Back in April, I blogged about Cade Barnard, a 6-2 220 pound LB from Seminole, TX. Mike Traini has a post on Barnard and updates his recruiting. Barnard is up to 15 offers, mostly from Group-of-Five schools. The Minutemen are the only offer from the Northeast. 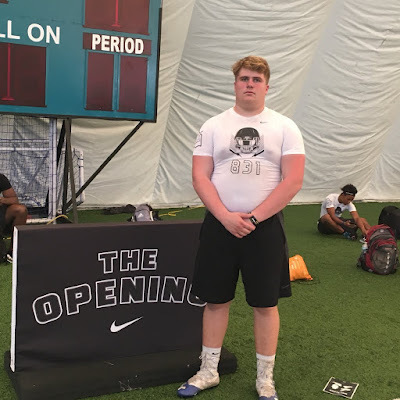 Matty Vautour has a post about Adam Breneman's invite to "The Opening" in Oregon last week. God willing, Breneman should be UMass' first FBS All-American. He deserves it; so do UMass fans. Rotoworld has a story about Andrew Ford and Andy Isabella. Ford thinks Isabella is having a positive impact on the Minutemen's younger WR's. Saturday Down South looks at win/loss ratios of the SEC. UMass is still an honorary member in 2017 with games against Mississippi State and Tennessee. Athlon predicts bowl games for eight of the Minutemen's 2017 opponents: Old Dominion, BYU, Temple, Ohio, Appalachian State, Hawaii, Mississippi State and Tennessee. Western Carolina adds former UMass defensive assistant Michael Painter (2013). Former Voice of the Minutemen Bob Behler starts his 10th year as Boise State's play-by-play announcer. Time does fly. Parker Ogle, a 6-3 280 pound OG/C from Palm Beach Gardens, FL has Tweeted he's received an offer from UMass. This article from 2016 has a section on Parker. His father played OL for Clemson. Ogle currently has offers from Bowling Green and UMass. Athlon ranks all 130 FBS coaches. Mark Whipple is #114. UMass trainer Jennifer Brodeur is honored with the College and University Athletic Trainers Committee's New Horizon Award. Above image is from the PFF Twitter feed. It being July, Coastal Carolina is officially a FBS college team. Georgia Southern is being sued by two fired offensive coordinators. 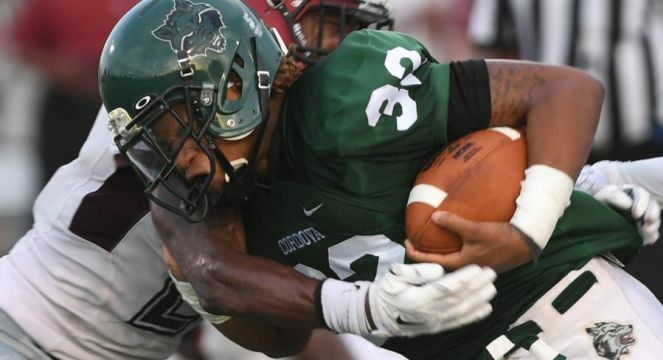 The Hawaii football program offers support to a player seriously injured in a diving accident. Speaking of the Rainbow Warriors, they just offered a scholarship to a fifth grader. The Orlando Sentinel ranks Old Dominion as #64 and says the Monarchs should compete for the Conference USA title. Athlon Sports has Old Dominion as #90. 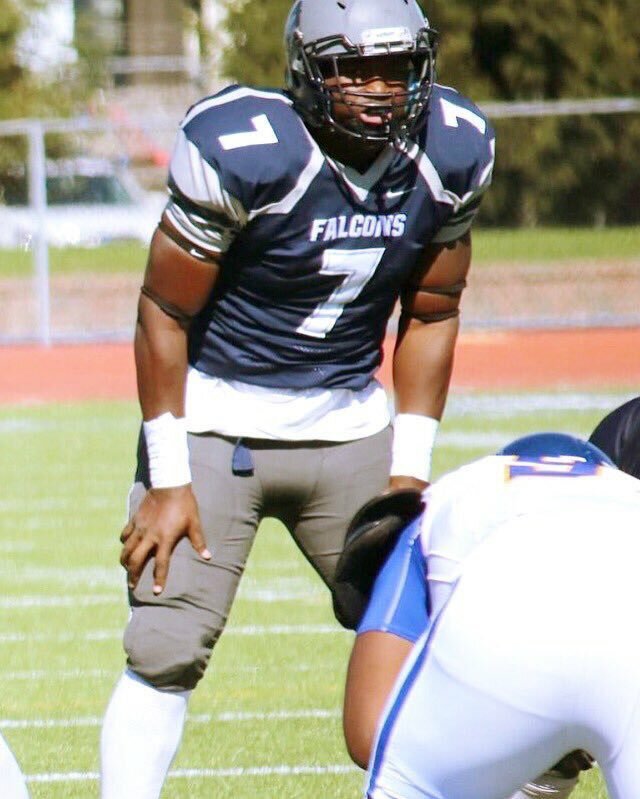 Jo-El Shaw, a 6-1 235 pound RB/FB from Lackawanna College has Tweeted he's received an offer from UMass. I've blogged about Shaw twice before. He received an offer from UMass back early in 2016. Hudl.com has video from Lackawanna. Averaged 7.2 yards/carry last year. Shaw had an offer from Syracuse in 2016 and they have re-offered. Mike Traini has a post on the UMass revenues for 2016. Mark Chiarelli of Mass Live compares revenues and expenses of the New England teams. Couple of things seem to stand out. One is the drop in ticket sales revenue from the previous years. I would think most of that would be from the Minutemen's struggles in basketball and hockey. As I have said many times, what I know about hockey would fit in a shot glass, but my impression is that of the universe of football fans, the universe of basketball fans and the universe of hockey fans, the hockey fans probably have the highest percentage of season ticket holders. They really love the sport. It was a tough year for UMass hockey in 2016. Mrs Blog and I usually attend about seven or so home basketball games. The games we went to were fairly lightly attended. I think that explains the coaching changes in both hockey and basketball. The capital improvements in Mullins will also pay off . I like the coaching hires A.D. Bamford has made in women's basketball, men's basketball and hockey. I think the Minutemen are on the rise and that will be reflected in the numbers in future years. Speaking of season tickets, I've already ordered my football tickets. Get yours now. Saturday Down South predicts Tennessee to go 9-3 with a win over UMass. The Vols are currently #3 in the country in recruiting and #1 in the SEC. Tennessee always recruits well and has a massively loyal fan base. My impression is the team tends to underperform the resources available. Athlon Sports power ranks the college football conferences for 2017. Ezechiel Tiede, a 6-2 190 pound pro-style QB from Montreal, Quebec has Tweeted he's received an offer from UMass. Member of the Under-18 Canadian National Team. 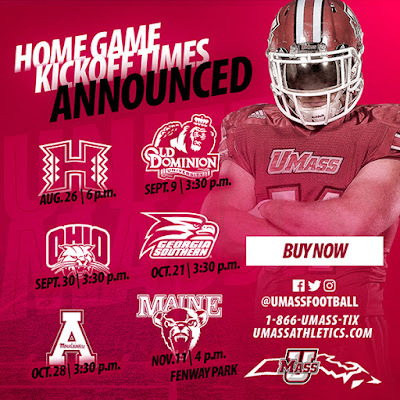 UMass continues to try to broaden its recruiting universe. Tiede has one other offer---from the evil BC Eagles. Former UMass player Tracey Belton won the Arena Football league defensive player-of-the-week award. Belton was the 2016 Arena Football Defensive Player-of-the-Year. Last year, new UMass defensive coordinator Ed Pinkham played a 4-3 defense at Western Michigan. I don't know if he'll do the same with the Minutemen. In a 3-4 defense Steve Casali totaled 105 total tackles. He'll be a fixture in the 2017 defense. Shane Huber is coming off a second knee injury. He was injured in the fourth game of the 2016 season. It usually takes about a year to recover from an ACL, so he may or may not be ready for the start of 2017. If healthy, he'll start as a senior. Colbert Calhoun and Tedrick Lowery, both seniors had 16 starts between them. Both should see plenty of playing time. Jake Froelich and Bryton Barr are both unknowns at this time. I would think Froelich would play inside and Barr outside. With four senior linebackers, I would think the UMass coaching staff would like to reshirt 2017 recruit Mike Ruane.